The BRICS mechanism has been fully developed and can transform into a political alliance, Russian Foreign Minister Sergei Lavrov said Friday. 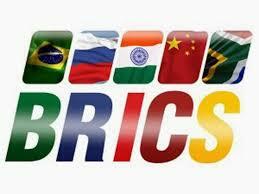 “BRICS grows and matures in all directions,” the diplomat told state-run Rossiya 24 TV channel. Lavrov said the “qualitative” growth of the mechanism to a degree made it possible to transform into a political alliance, which is especially noticeable in its work within the Group of 20 (G-20) on global economic and financial affairs. BRICS that groups Brazil, Russia, India, China and South Africa has many allies in the G-20, the minister noted, naming Argentina, Mexico and Indonesia in particular. “They speak in the common voice with BRICS in the G-20 on the reform of international financial system,” the diplomat said. For those who have forgotten who the BRICS are, aside from a droll acronym by a former Goldman banker, here is a reminder of the countries that make up 3 billion in population.